As entrepreneurs keep on looking to get new businesses up and running quickly, many are going straight online. The rising phenomena of an eCommerce website are amazing. 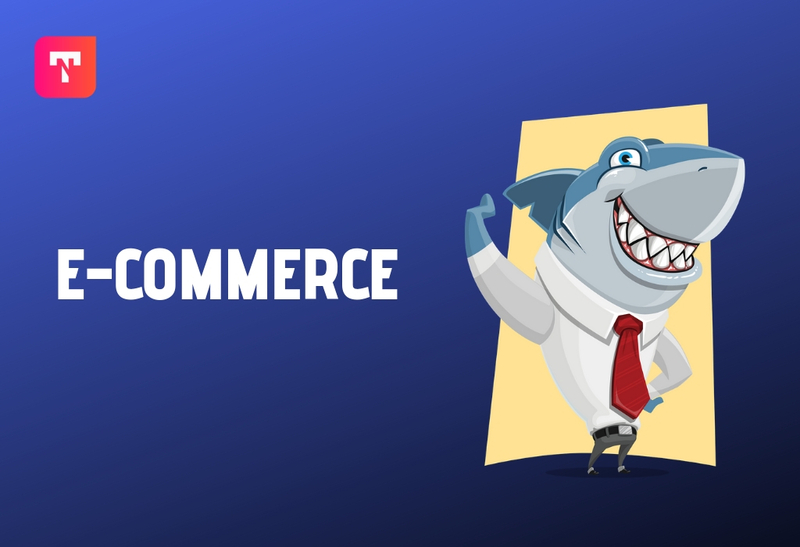 It is believed that more than 10,00,000 eCommerce websites are there. Whereas, more are coming. There could be many factors for rising online stores. However, a grown number of open source and free eCommerce website software proves to be a key player in it. Furthermore, giving a notion that every online business gets successful is not true in its sense. The only online business grows successful, has a plan and a successful strategy. A strategy that is unique in its term. We believe that if we create the right business strategy, nothing could be more rewarding than running an eCommerce website. In addition to that, if an entrepreneur selects the right eCommerce platform or website software than the results could be amazing. The question that comes in, what’s the best strategy to apply? What are some points that should be catered in order to make your store successful? So to help the online store owners, here are some useful points and infographic that may come in handy. In one of our recent articles about the Future of Mobile Commerce, we’ve already stated all the valid reasons to think about this factor. A study on the eCommerce website industry tells that 16% of the businesses are already using mobile shopping channels, while 32% are thinking of adding one. 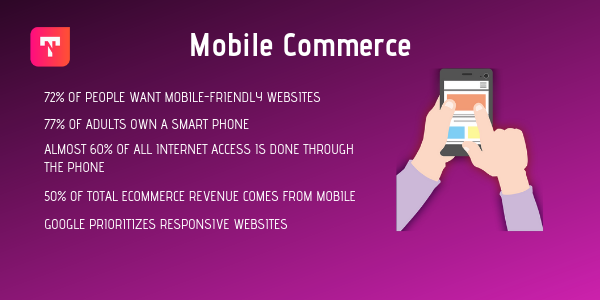 Whereas, 80% of the eCommerce retailers either offer or plan to offer mobile commerce. Data analytics aren’t just for big businesses. Seriously! 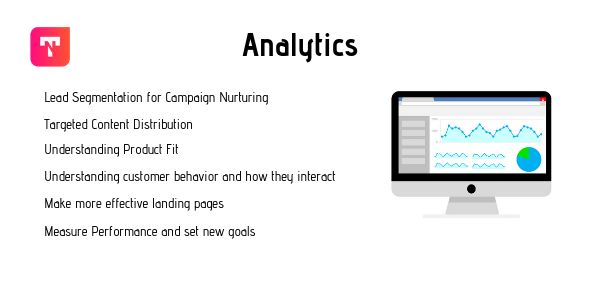 Patterns are changing, Today, the top eCommerce platforms of the world will provide you runtime analytics to enhance your sales. These data analytics will let you take a look at the broader spectrum. Which is why it’s important that you should select the right eCommerce platform for your online store. We at Tibolli greatly emphasis on user-generated content for e-commerce business. Getting product reviews and starting a discussion forum around a topic or product build trust. People tend to read reviews before making an online purchase. So encourage your buyers to review your products and provide feedback which is a lot more valuable to you than you can imagine. Some E-commerce Like Tibolli Offer review widgets built-in. But if you are on a custom platform you Can still leverage this functionality with the third party widgets like YOTPO. Just make sure to display these reviews in a location easily accessible to your buyers and provide easy access to you them to leave a review for their purchase. When you are in the E-commerce world you need to take a look at your pricing from a different perspective. People don’t just come to your online shop and buy the product from you for whatever price you ask. The audience today does a lot of research before they actually decide to add a product to their cart. So make sure you are offering your product at a competitive price unless the product you are offering is unique and no one else has it. Do your research before you actually go on with a specific pricing structure. 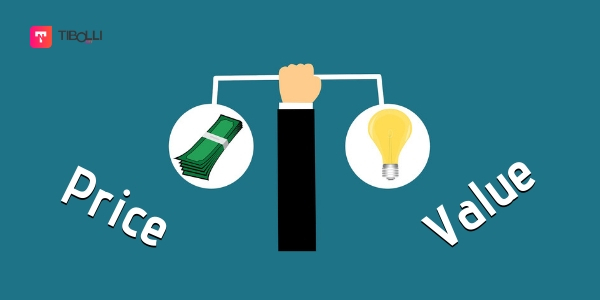 Here is a complete guide on Setting a pricing structure for your business. Visual content grabs the eye of every reader. These are the images that help the user to decide, whether, he should shop for that website or not? Be it a website design, or this is, the product image itself, both of these influence the user. Research indicates that content having compelling images tend to receive 94% more views. 66% of your customers would like to see alternative angles of your product. Moreover, saying that, a picture is worth a thousand words will not be wrong at all. The eCommerce websites that showcase more than one images of its product gets more stay time on the website. Since the mid-2018 and up till now we have seen a significant increase in demand for video content. From a general user’s perspective, it is more convenient to watch a small video that clearly explains the product. 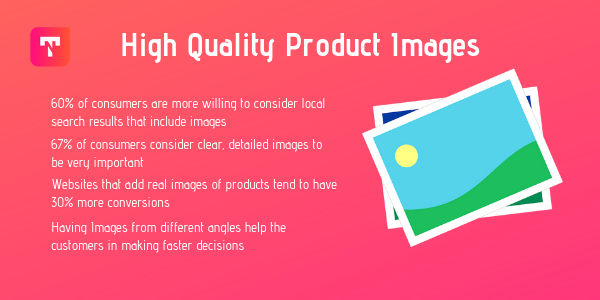 We have seen it n social media and products with videos go a lot more viral and on average sell 3x time better the product with just images and textual product descriptions. Reason being videos explain a lot more in very less time to capture user attention. We have been hearing chatter that social media marketing is dead. Some say that they are not getting enough sales through social media as they used to. Which is completely not true. You need to adapt to the trends. Social media platforms are for socializing with people and not for selling. So try to socialize with your audience instead of being another salesman. try engaging with your audience in a different way that your audience loves. Here is our guide on promoting your business on social media. What if we tell you that the average stay time of a user is 10 to 15%. An online shopper will not stay on your website for a long. We, therefore, suggest you make things as simpler as possible. When it comes to simplicity, then there are several factors that need consideration and offering multiple payments is one of these. Make sure the navigation is smooth and easy. Your checkout process is simple. Your product pages provide details your customers need to see. Don’t go with complex website designs. Instead, try to make the website more fresh and appealing to the eyes. Let your customers know clearly what will happen when they perform a specific action on your website. Make your website as quick and snappy as you can! Slower page load times are a major reason for drop-offs and customers losing interest in buying. Inbound marketing is great for a successful business online and driving new traffic to your business. Best way to attract more potential buyers is to solve problems your customers might come across. This immensely builds trust and you get to start a conversation with your prospects. Once you target your customer’s pain points and tell them how they can solve this problem, they will trust you more and are more likely to buy from you. best way to figure out what your customers are looking for is to check out your competitor’s websites and read for the comments. Find your audience in your niche forums. Quora is a great place to start looking for questions your customers are seeking answers to.